It may surprise many people in Britain on this, the 30th anniversary of the miners strike, that coal is still a vital part of Britain's energy requirement. In fact it accounts for 40% of the energy mix with the vast majority coming from overseas markets such as Colombia, Russia and the US. UK Coal, which is the remnant of the old Coal Board which so bitterly fought Arthur Scargill and the NUM in 1984, accounts for 4% of the UK's energy needs. That UK Coal could face administration twice in as many years is testament to the flimsy margins on which coal producers operate these days. Whereas last year a huge fire at the company's Daw Mill plant pushed it into administration, this year UK coal faces a double whammy of issues beyond its control. Coal is priced in dollars and even though UK Coal only sells locally, the recent rise in Sterling has made their produce more expensive. On top of that the global price of coal has fallen thanks in part to an abundance of shale gas in the US. Both these factors could be enough to push the company to the edge - assuming of course that an imminent deal to secure fresh investment falls through. Help Which It Says Is Required To Keep Its Mines Open. The coal mining firm says it is in advanced talks to raise "at least £10m" needed and is working with the government and private investors. Andrew Mackintosh from UK Coal said the firm was "very confident" of being able to get the cash and find a long-term investor in the business. It currently owns eight pits across England, employing 2,000 people. 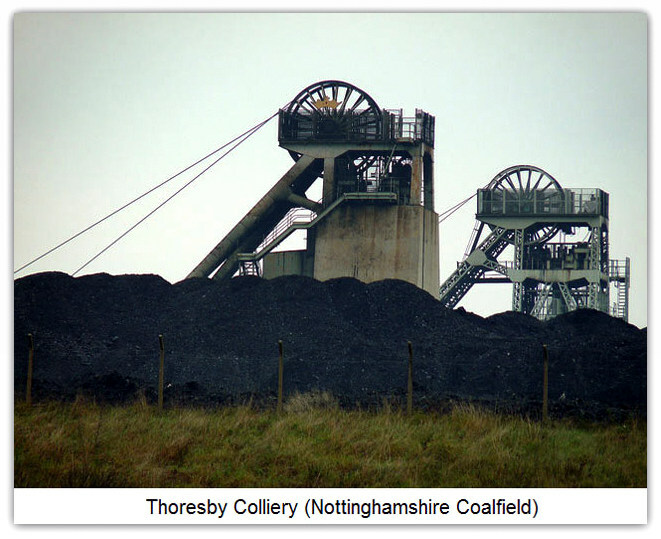 UK Coal currently has two working deep mines - Thoresby Colliery in Nottinghamshire and Kellingley Colliery in Yorkshire. It also has surface mines operating in Northumberland, County Durham, Derbyshire, Shropshire and Leicestershire with six more proposed sites across the country. Mr Mackintosh blamed the firm's latest financial problems on the global market with falling coal prices on top of a fire which destroyed, and subsequently closed, its Daw Mill Colliery in Warwickshire. Last year the firm said it had gone into administration as a result of the fire. Mr Mackintosh added: "We do need that investment, It is important for the future. "There are difficult days ahead but at the moment everything's looking positive as far as discussions are concerned. "We have got to make sure discussions are completed soon so we can start talking about where we go from here." In November, Chancellor George Osbourne announced a financial boost for pit workers following UK Coal's administration. Conservative MP for Sherwood in Nottinghamshire, Mark Spencer, said he had been working with energy minister Michael Fallon and trade unions for the last month. He said: "We knew this challenge was coming and have been working to secure a deal for the last month. "This has been a fairly traumatic few weeks and luckily we are much closer to finalising something. "Without this money the firm would be in receivership. It will mean the closure of the collieries. But there are too many people with a vested interest in making sure that doesn't happen. "There is still £80m worth of coal still under the ground at Thoresby so investing the money now will secure those jobs and ensure that Thoresby, and the business, can continue to make a profit." UK Coal is likely to close two of the last three deep mines in Britain as it battles to stave off insolvency. The UK's largest coal producer is consulting on plans to shut Kellingley in Yorkshire, and Thoresby in Nottinghamshire, affecting a total of 1,300 workers. The company is negotiating to raise £10m in investment "within weeks" to save itself. If that fails, it has said it will turn to the government for help. Andrew Mackintosh, a UK Coal spokesman, said it needed the cash injection to prevent the mines being closed straight away. "We are not looking at a long-term future here, but in order to close the mines slowly we need to have money," he told BBC Radio Nottingham. "If we secure funding it gives us time to work with suppliers and employees to ensure a smooth closure programme. "Thoresby and Kellingley would have at least 18 months, rather than an immediate closure if we don't get the funding." 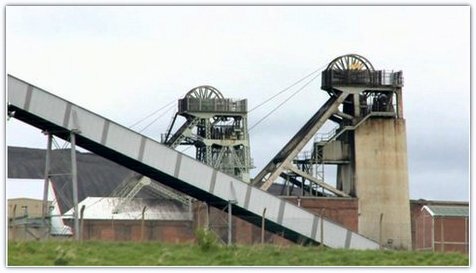 If the two sites close, it would leave employee-owned Hatfield colliery in South Yorkshire as Britain's last remaining deep pit mine. UK Coal, which provides 8% of the total coal consumed in the UK, said a strong pound meant it had lost out to cheaper imported coal, especially from the US, where the boom in shale gas has forced American coal miners to find new markets in Europe. TUC general secretary, Frances O'Grady, called on the government to help keep the mines open. The trade union body also said it was challenging an argument by the Department for Energy and Climate Change (DECC) that under European rules it cannot provide state aid. Chris Kitchen, general secretary of the National Union of Mineworkers, added: "The [European] Commission says there is no obstacle in providing modest help. "All it would take to secure thousands of good jobs is a commitment from this government." The shadow home secretary, Yvette Cooper, said the situation was "really troubling". "We really need to stand together...when we've got jobs at risk, but also the whole of the remaining deep mine coal industry, at a time when we need...to maintain that diverse energy supply." A DECC spokesman said the issue was "primarily a commercial matter", but that it was "in close contact" with the company. UK Coal said it was in advanced talks with stakeholders, including rival Hargreaves Services, about possible investments. Hargreaves made a £20m bid for UK Coal last year when it was in administration following a disastrous fire at its Daw Mill colliery near Nuneaton. However, the Pension Protection Fund, a public body that compensates employees' pensions when their businesses go bust, stepped in to rescue UK Coal. Hargreaves has said it is not making a second bid to buy UK Coal, but that it "has extended offers of assistance to all the associated stakeholders to help try and find a solution to assist UK Coal". UK Coal now has eight pits, including two working deep mines.